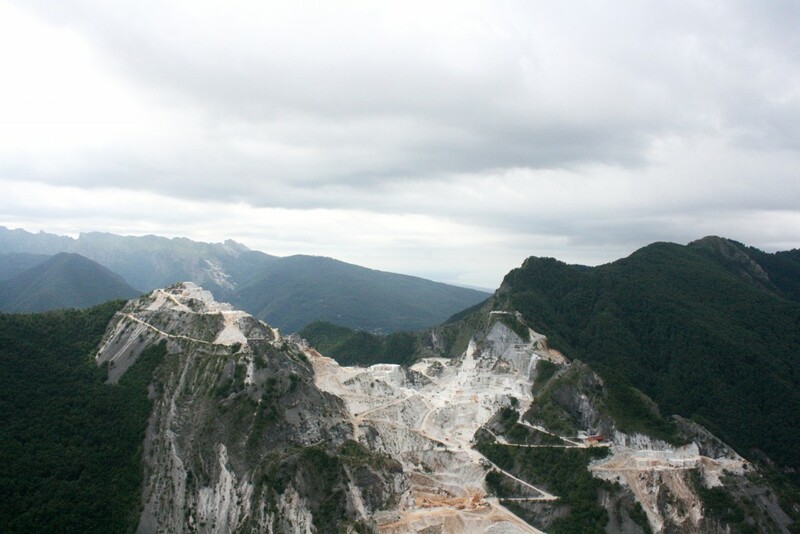 Welcome to the sci-fi oozing landscape of the Apuan Alps, the mountains that provided Michelangelo with some of his greatest material to create his most famous works of art. 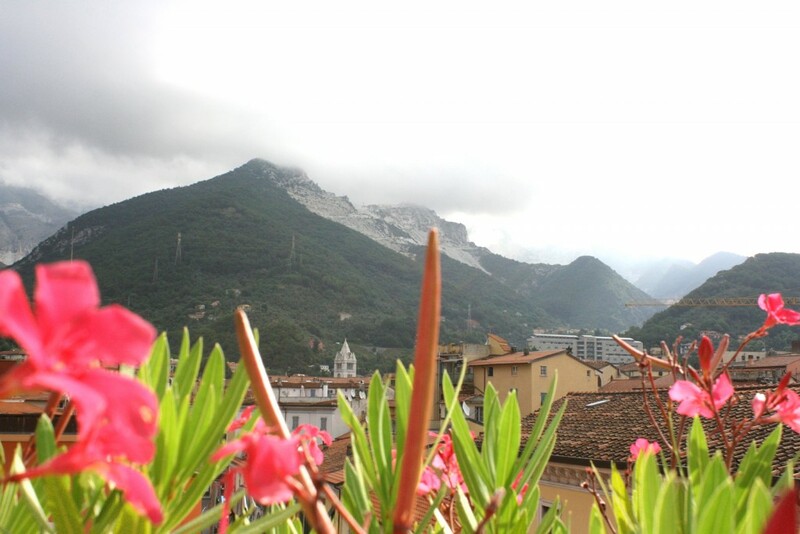 I just came back from an unforgettable weekend in Carrara organized by the Provincia di Massa Carrara. 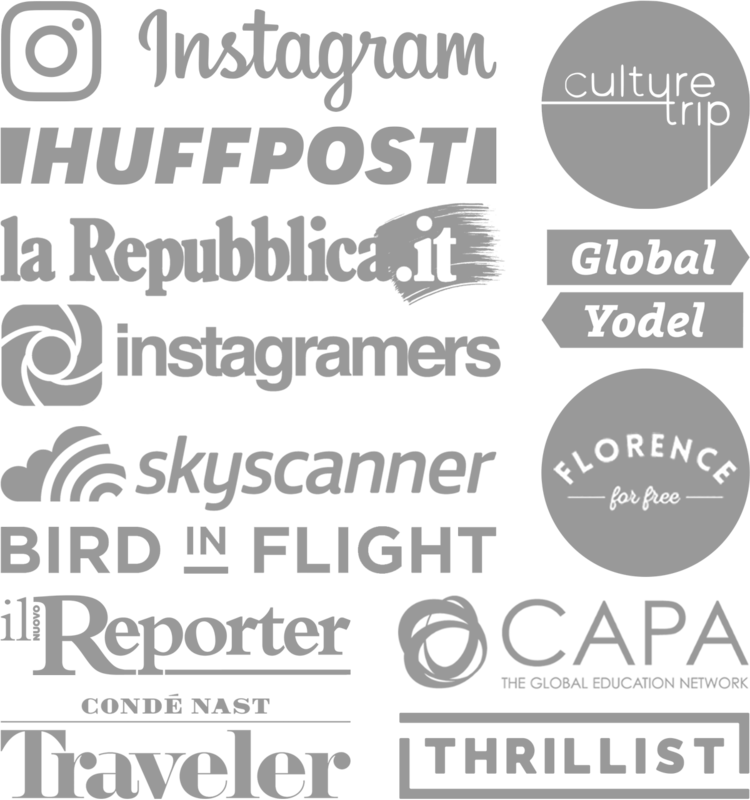 Along for the ride were fellow Tuscan bloggers and video makers: Valentina of Too Much Tuscany, Georgette of Girl in Florence and Stefano and Raffaele of Milo Films—a great group ready for anything! 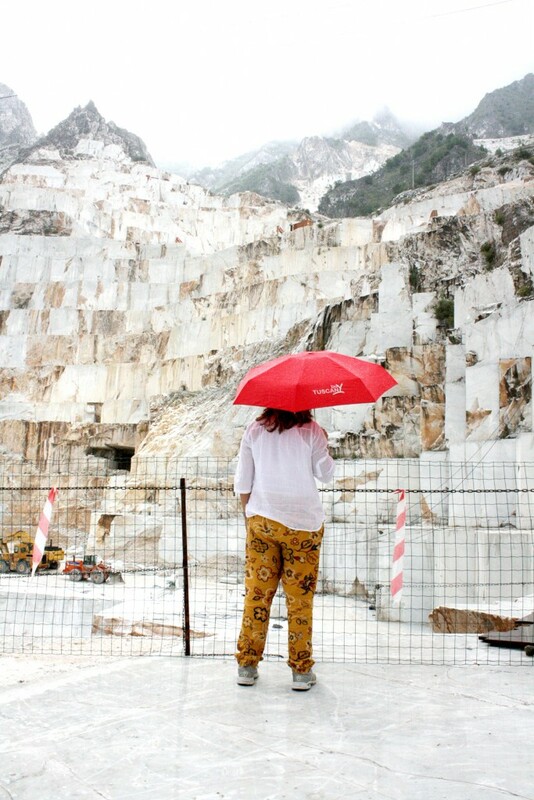 We were invited to partake in the activities during Carrara Marble Weeks, which is a full program of art exhibits and events ending August 3rd. Besides all the marble in the mountains there are also marble sculptures displayed all over town, something worth checking out. One of my favorite installations was the animal marble sculptures in Piazza Antonio Gramsci. I also really enjoyed visiting I Salotti—an exclusive fashion atelier up above in Piazza Alberica—which had their marble sheets on display…really cool and creative. There’s so much to see in this area, so look out for a post later this week about our electric bike ride through the Lunigiana area in north Tuscany. If you’re not too familiar with marble, don’t worry, just know that Carrara marble is what The David is made out of, bum and all! You can also thank Carrara for those beautiful floors and marble kitchens over the past oh, few hundred years. 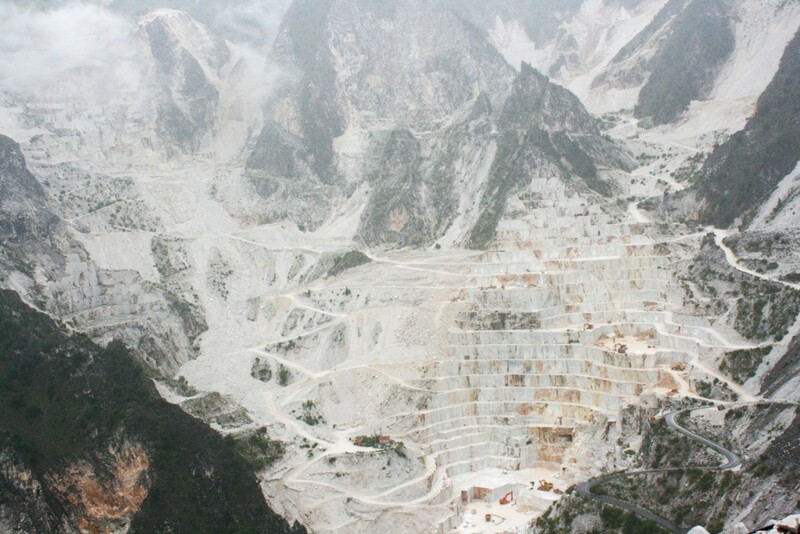 Carrara dates back to the 9th Century BC and was settled by the Romans in the 2nd Century BC as a place to house the marble quarrymen. Imagine a city of just workmen, like Disney World employee quarters albeit not as clean and civilized. 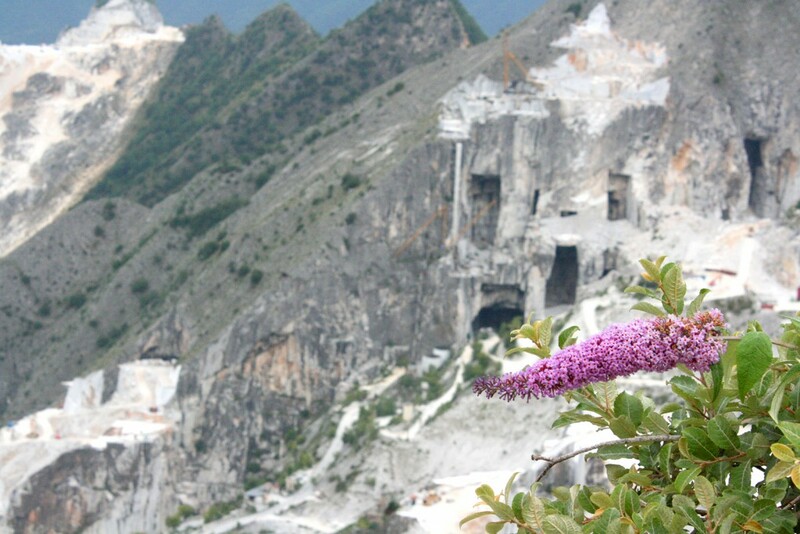 When the Romans discovered these massive marble mountains they soon ended their marble imports from countries like Turkey and Greece and focused on quarrying and carving in Carrara. 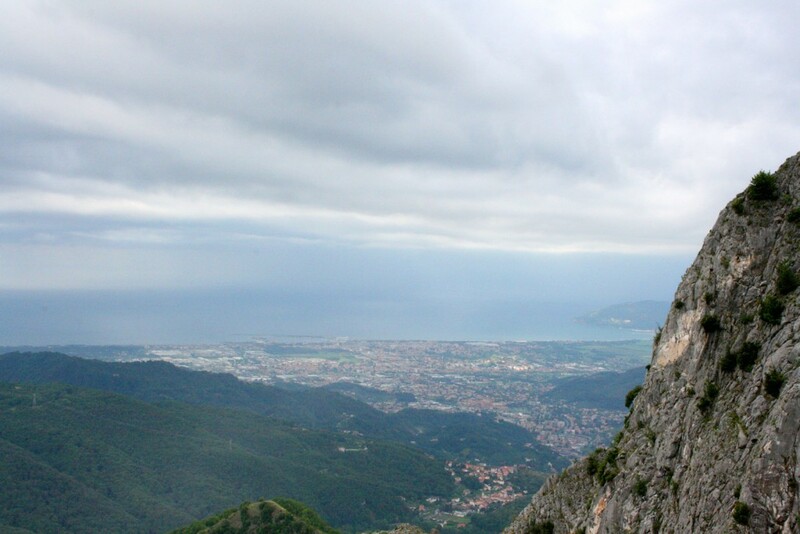 There’s so much more to Carrara than just the marble mountains, but based on the reaction from the images I posted on Instagram everyone seemed so excited to learn more about this off-roading 4×4 trip with the Guide of the Century, Gabriele Giuntoni. Gabriele, The Marble Whisperer, has a copyright out for these awesome shirts! Gabriele of Cave di Marmo Tours was the heart of our tour—and the heart of our weekend as he even conducts tours outside of the marble quarries, so lucky him had us five hooligans for three days. He’s a passionate representation of Carrara and its marble. He was one of the best guides I’ve ever met! Every time we had a question he was eager to share his love for the area and what I loved even more was that he seemed to know the origin of almost every word, like the father in My Big Fat Greek Wedding. He didn’t seem to take that as a compliment, but it was! After a day of exploring the historical center of Carrara and visiting some art galleries we were ready for the real action. On the second day of our stay Gabriele was waiting for us outside of Hotel Michelangelo in his Land Rover Defender. Grrrrrr. 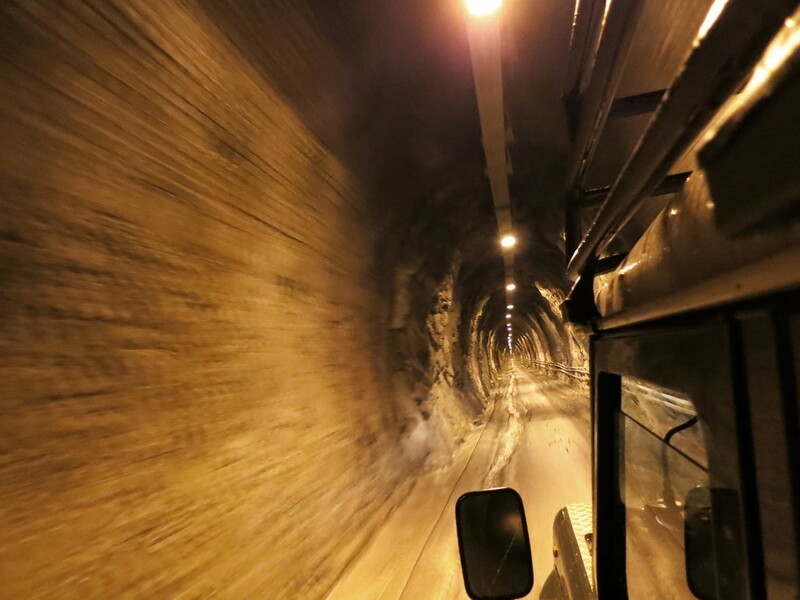 We hopped in and were off towards the Apuan Alps. I don’t want to give away any surprises, but let me just say that Gabriele made the drive exciting and very unique. Hold on tight! 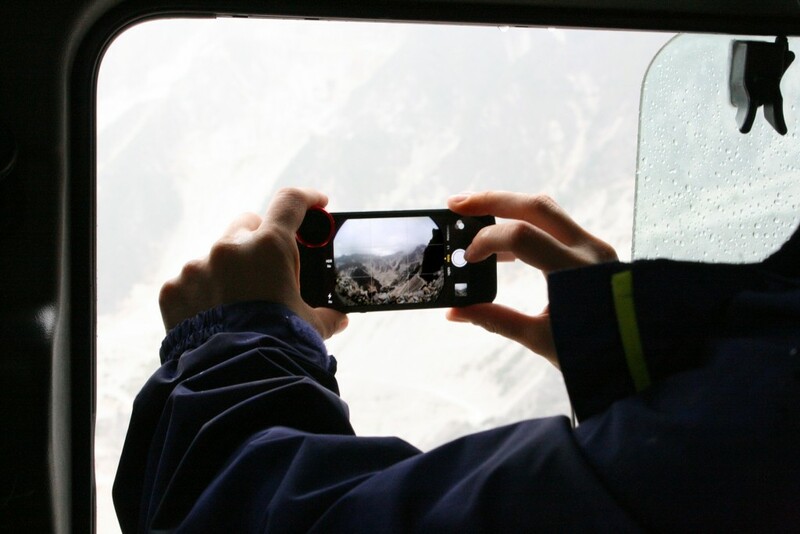 After a few switchbacks we made it to the top of one marble site to stretch our legs and take photos. It was incredible, as if we were discovering a new planet. The atmosphere was intense and foggy. When the wind would push the clouds aside we were able to see the coastline of Massa in the distance. 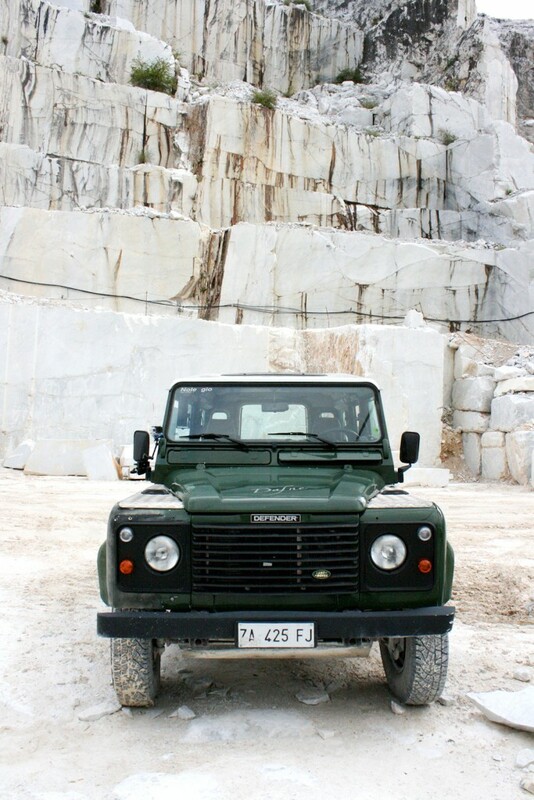 The Carrara marble tour ended after a drive down into the quarries where you can see how the marble is cut and transported. Lunch calls for Lardo di Colonnata! Now you can’t visit Carrara without eating your weight in Lardo di Colonnata IGP. After all that driving, hunger struck and I love nothing more than to eat the most local dish no matter where I am. Lardo, meaning lard, transforms into something special after bathing in salt, spices and herbs for over 181 days. 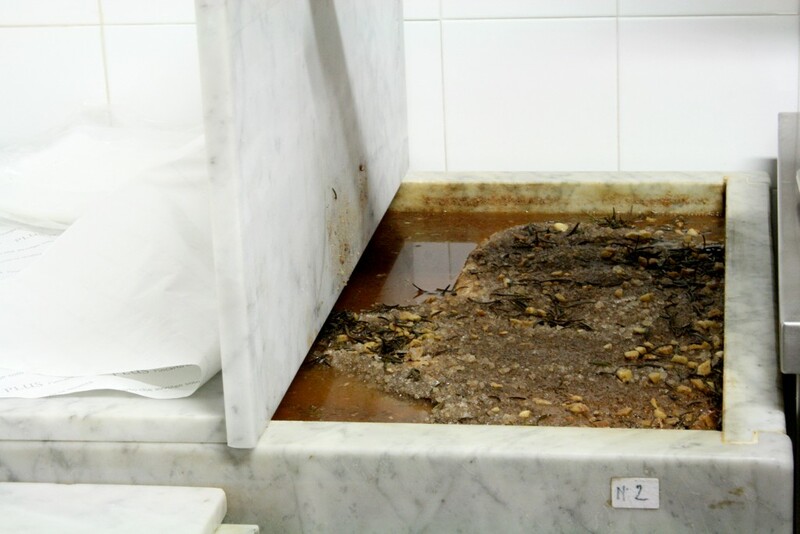 Don’t forget that the bath that the lard sits in is made of… marble, of course. I really enjoyed this lardo post by Emiko Davies because she explains exactly what it is…it’s not really lard, but cured pig’s back fat. It’s best eaten on warm bruschetta slices and as picky as I am with chewy fatty foods, this lardo is nothing BUT smooth. It’s pure buttery and salty bliss. Lunch was served at Larderia La Stazione in Colonnata. 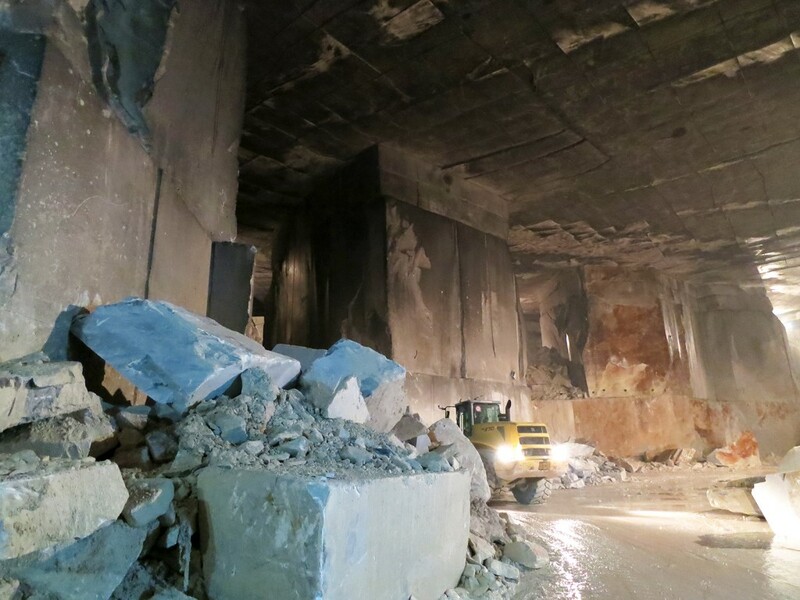 Since Colonnata neighbors Carrara they both go hand-in-hand; Colonnata uses Carrara marble to cure the lardo and Carrara quarrymen consume the lardo from Colonnata. Fair trade. Don’t get grossed out or start complaining about your high cholesterol just yet because lardo di Colonnata is actually the GOOD kind of cholesterol. It has less saturated fat and cholesterol than butter, so eat up! 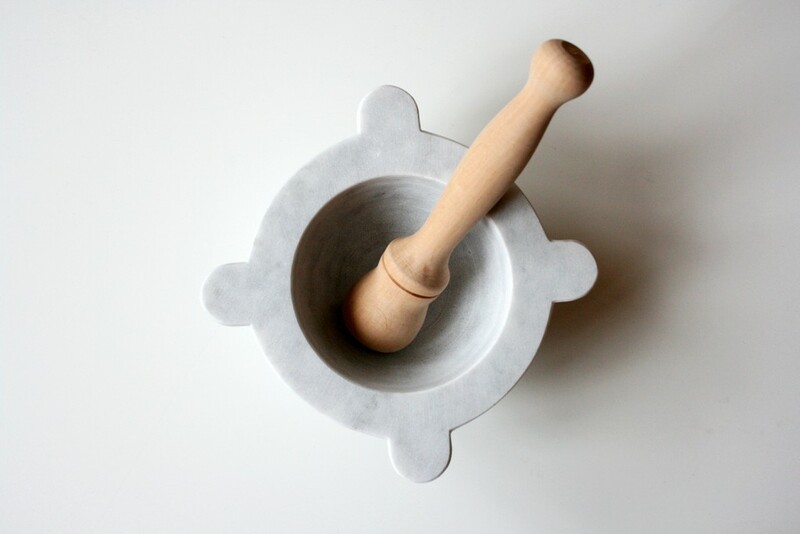 I just had to buy this beautiful Carrara marble mortar and pestle! Well of course I had to ask Gabriele for the best place to buy ANYTHING made of marble, so he took us to a marble store right by the quarry where they sell everything from marble decorative fruit, to clocks and lamps. I settled for a gift for my husband—mortar and pestle, since he loves to cook. Would you spend a day with Gabriele and try the famous lardo di Colonnata? Great post Tiana, especially loved the ‘marble whisperer’ reference, Gabriele needs his own reality show! This weekend was really fun, hope we can do more tours together! He’s one of a kind and I would totally watch his show if he had one. Likewise, great hanging with you for 4 days! Wow definitely looks ‘other worldly.’ What a great place to visit! It was totally out of this world, I really recommend a trip there next time you’re in Tuscany! I too love to cook! Would love to get a large mortar and pestle similar to the one you got for your husband from the same store. Do you know how I can reach them? by phone? or e-mail? or website? please? Thank you so much. I love making pesto from the basil I raise in my garden and the garlic as well. Hi there! I would google “marble mortar and pestle from Carrara” or “marble shops in Carrara”. In Italian it is called “mortaio e pestello” in case you want to search in Italian for a number. Good luck! Hello, from where exactly was taken the third picture “The Marble Side of the Moon” . Can i get there on a bike? Not at all, you need to take a tour, contact Gabriele http://www.cavedimarmotours.com/en/ it’s an amazing trip! Dear Tiana, may I use one of your photos (marble side of the moon) for a twitter that I will call “this is where it all begun” of course quoting you as the source? Hi Alexis, you may use my photo if you can include @tianapix in the tweet. Thank you.